Learn how your church can intentionally identify and celebrate the faith milestones in the lives of children, youth, and adults. As children, youth, and adults travel on their faith journey, it's important to mark the milestones along the way and to celebrate God's goodness. 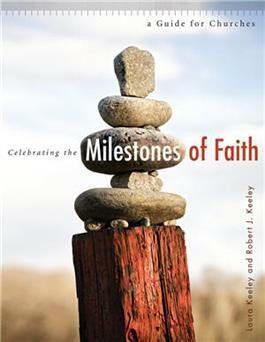 This practical resource helps you and your church identify faith milestones and celebrate them together. Includes a "Faith Milestones Sourcebook" filled with practical ideas for celebrating baptism, first communion, profession of faith, and much more. Find out how celebrating the important milestones in each other's lives can bring your congregation closer as together you testify to God's faithfulness! Robert J. Keeley is a professor and chair of the Education Department at Calvin College in Grand Rapids, Michigan.